Women's Coats $13.49! Burgundy Asymmetrical-Zip Moto Jacket Was $98! Just $13.49! You are here: Home / Great Deals / Christmas Deals / Women’s Coats $13.49! 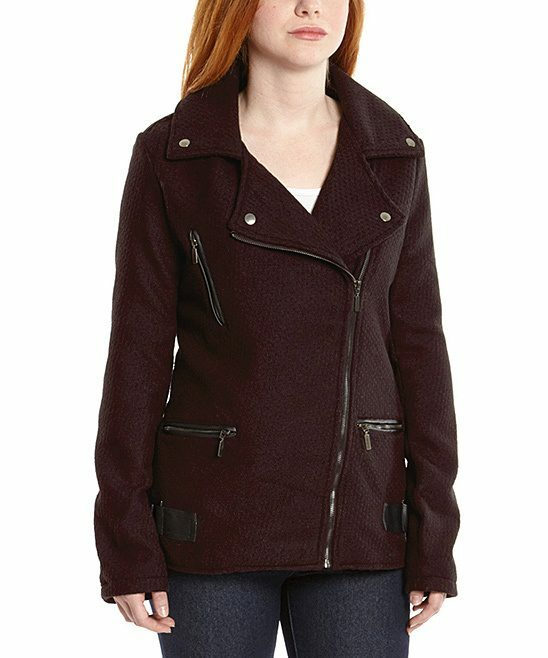 Burgundy Asymmetrical-Zip Moto Jacket Was $98! Just $13.49! Women’s Coats $13.49! Burgundy Asymmetrical-Zip Moto Jacket Was $98! Just $13.49! Head over to Zulily where there is a great sale on select Women’s Coats. Now Just $13.49, Coats were originally up to $98 are now just $13.49! Lots of styles and colors! Coats available in S, M, L, XL, 1X, 2X, & 3X! Get this Burgundy Asymmetrical-Zip Moto Jacket for Just $13.49! Shipping is FREE on orders of $50!